Odisha govt. has announced to launch Kalia Chhatra Bruti Yojana which is a scholarship scheme for the children of Kalia beneficiary farmers. This scholarship scheme under Krushak Assistance for Livelihood and Income Augmentation (KALIA Scheme) is going to solve a lot of problems in education sector. KALIA Yojana 2019-20 is providing financial, livelihood, cultivation, support & insurance facilities to farmers. Now the farmers children would also get assistance to excel in the education and technology sector. Kalia Yojana in Odisha is a scheme which is already financing the farmers and now it is necessary that the children of farmers are to be taken care off. For the Kalia beneficiaries, the state govt. announced Kalia Chhatra Bruti Yojana 2019 so that the kids of farmers becomes doctors, engineers, lawyers, scientists etc. Now all those students belonging to either small or marginal farmers family who are planning to pursue higher education can avail the benefits of Kalia Scholarship Scheme. All the students should be the children of Kalia beneficiaries. These students must be studying in government professional colleges on merit. 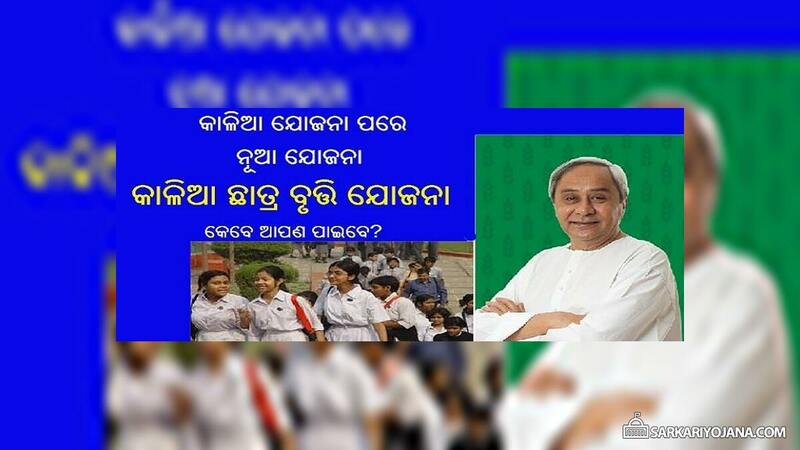 Odisha government is going to bear the education expenses of their children under Kalia Chhatra Bruti Yojana 2019. The state govt. is already implementing the Kalia Scheme for the holistic development of the farmers. The state govt. of Odisha is providing an assistance of Rs. 10,000 per family at the rate of Rs. 5,000 each for kharif and rabi seasons as financial assistance for cultivation. Around 10 lakh landless agricultural households will also be supported at a unit cost of Rs. 12,500. The unit cost to landless agricultural families under Kalia Yojana will enable farmers to take up activities like small goat rearing, fishery kits, mushroom cultivation and beekeeping. The state govt. of Odisha is also providing financial assistance of Rs. 10,000 p.a per family for landless farmers who are too old, physically challenged or too sick to work. Odisha govt. is also providing Rs. 2 lakh life insurance cover and Rs. 2 lakh additional personal accident cover to both cultivators and landless agricultural labourers. Moreover, all the crop loans upto Rs. 50,000 would be completely interest free. Odisha KALIA Scheme is going to accelerate agricultural prosperity and reduces poverty. Kalia Yojana in Odisha is going to be implemented with an outlay of Rs. 10,000 crore for the upcoming 3 years i.e 2020-21. Farmers would be able to take up interventions like purchase of inputs such as seeds, fertilizers, pesticides and labor fees.